The people of Britain have decided. They had the choice between a fairer, altruist society that gives a chance to everyone or one that allows the richest to become richer and condemn the poorest to become poorer. Surprisingly, Britain’s electorate has been wooed by David Cameron’s empty promises, vaguely expressed but legitimised by the long-term economic plan rhetoric – an idea suggested by his campaign strategist Lynton Crosby. Not only did the most unpredictable election in the history of the United Kingdom lived up to its expectation, but it also shocked the country – and choked – the Labour party and the Liberal Democrats, digging Nick Clegg and Ed Miliband’s grave. What is interesting, looking at the outcome is that it shows that the electoral system benefiting the reigning two-party system in England is no longer valid in the rest of the UK. Scotland, previously heart of the Labour party, being submerged by a separatist wave of yellow is the evidence that Scots are no longer interested in a typical Labour/Tory fight. The Westminster system has always overlooked Scotland, Wales, and Northern Ireland. At the north of Hadrian’s wall, Nicola Sturgeon is dancing to a sweet tune as she celebrates her party defeating Labour and winning 56 of the 58 seats. 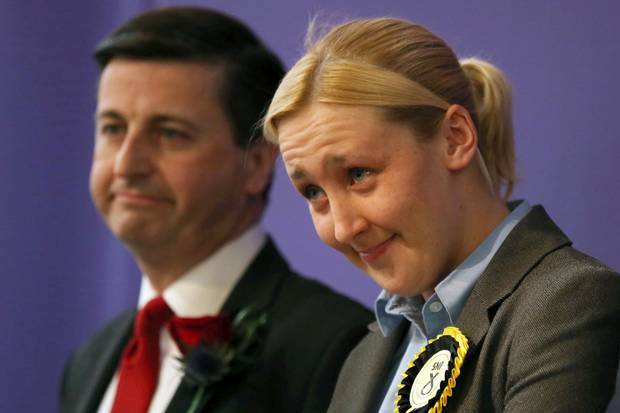 Scottish Labour party leader Jim Murphy and election strategist Douglas Alexander – the latter being toppled by politically inexperienced 20 year-old student Mhairi Black (pictured below) – are casualties of Scotland’s decision to break up its love affair with the Labour party and Westminster’s system. Surely David Cameron will realise he will have to please the freshly elected 56 SNP MPs by devolving more power to Scotland or giving them a second referendum – which probably won’t happen in the next five years. 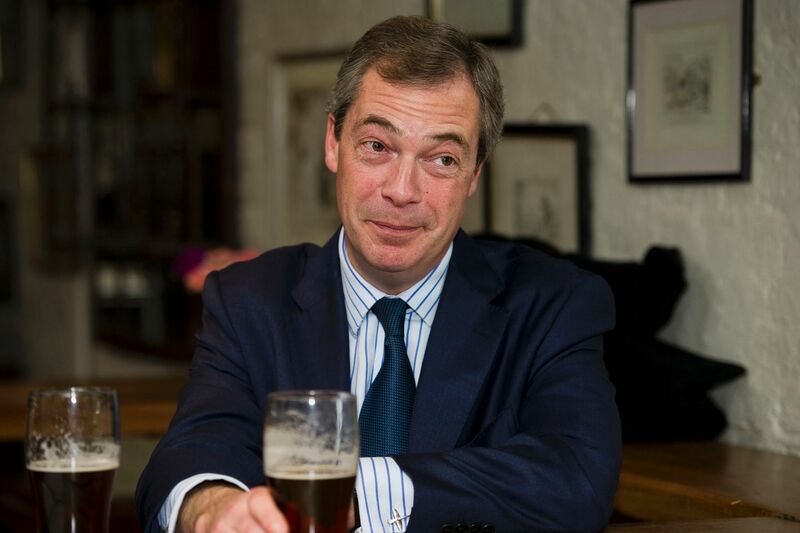 UKIP and the Greens have solicited together 16.4% of votes (more than 5 million voters), and only secured one seat each. Somehow, figures do not seem to represent the reality of an election, as suggested by Nigel Farage, where the SNP secured 56 seats with only 4.5% of votes (1.5 million voters). However, if there is something this election has shown, it certainly is that the British political system is not fit for more than two parties and needs to change. Tories and Labours do not make the unanimity anymore. People have voiced their concern at a weak Labour party and the Tories’ decision to go down the austerity road, and turned towards smaller parties. However, that rise translated into something morbid: the involvement towards UKIP massively increased – and made it arrive second in numerous seats – whereas the Lib Dems have fallen to their lowest ever score. it shows that this election was also one of fear, rejection, and selfishness, where foreigners and Europe are as much to blame as the government. This shows that the campaign of both Nigel Farage and David Cameron based on defiance towards Europe and the free circulation of people, has seduced a fearful electorate eager to find a scapegoat. Not only has this election shown the scission between Scotland and Westminster, but it also shows the rejection of Europe by the British people; it also shows that the south does not seem to be suffering from austerity and the increasing cost of living (Labour-voting London is the surrounded by an ocean of blue) as much as the north – which seem like a world apart.